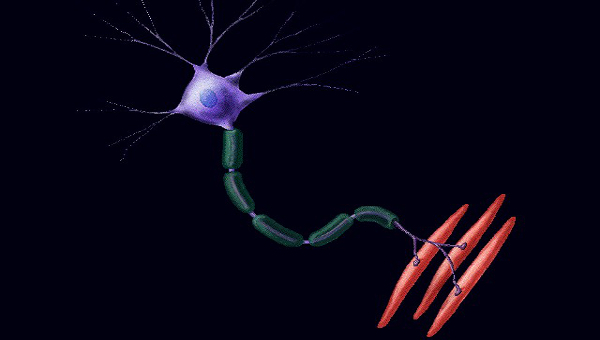 A nerve cell that sends command signals from the brain to muscles and other body parts is called a motor neuron. In the figure above the purple mass is the cell body that exists in the brain. The long, thin, green, rope-looking part is called the axon that carries the signal. The red strands represent the muscles that act on the signal that is given to it. You can train the speed of this neuromuscular connection by doing movements as quickly as possible.